A.P.J. 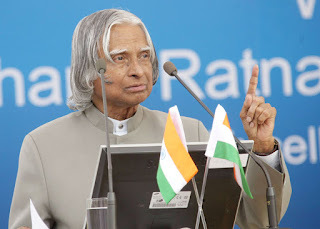 Abdul Kalam Status in Hindi 2019 We're sharing our A.P.J. Abdul Kalam Status in Hindi with you. I hope you like our collection and you can share your collection with us. My message, especially to young people is to have the courage to think differently, courage to invent, to travel the unexplored path, courage to discover the impossible and to conquer the problems and succeed. These are great qualities that they must work towards. This is my message to young people. The black color is sentimentally bad but, every blackboard makes the student's life bright. In India, we only read about death, sickness, terrorism, crime.